Yet You spoke not a word. With the tomb sealed tight. But You’ll come back again. 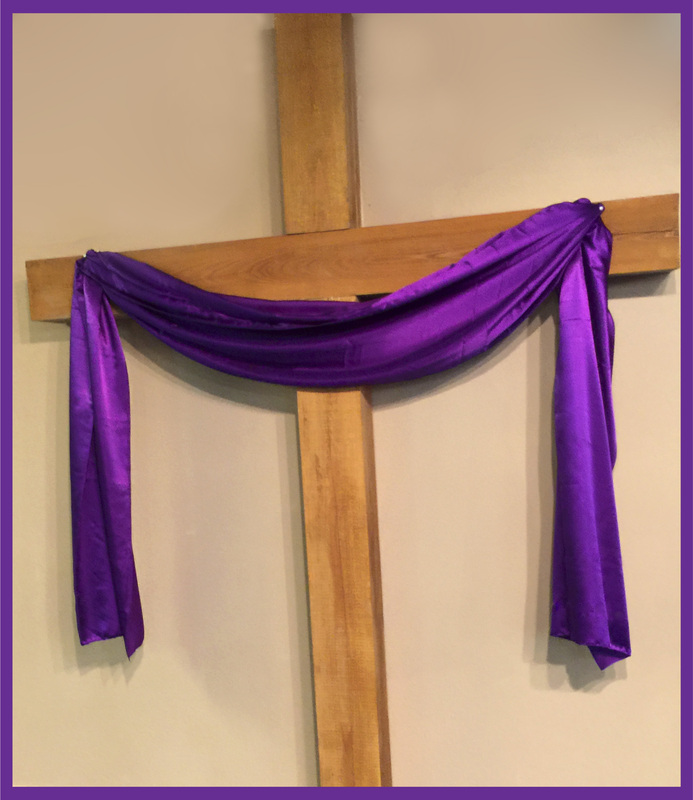 This entry was posted in EASTER and tagged Calvary, Christian, crucifixion, easter, Jesus, photo cross, poetry, resurrection, sin on April 1, 2015 by heavenlyraindrops. Thank you, Jesus, for Calvary! 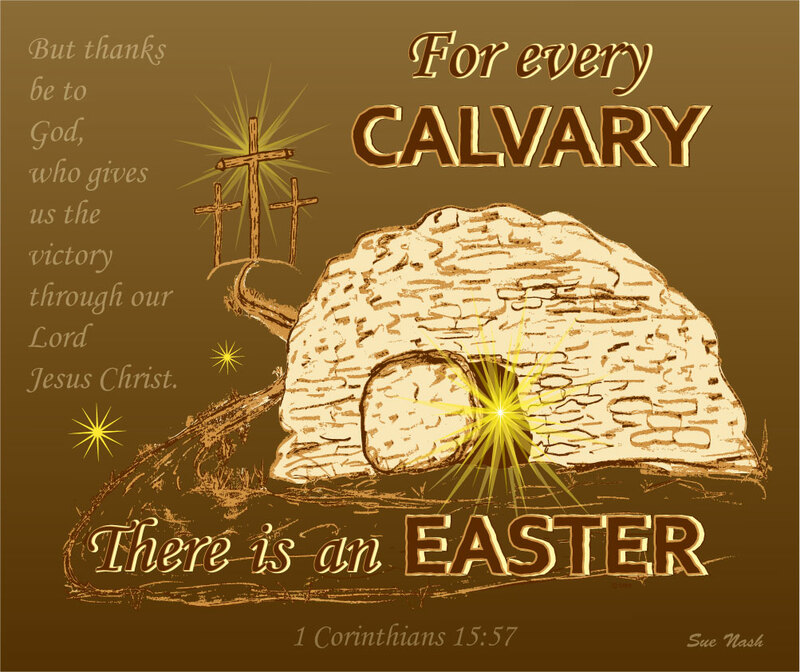 This entry was posted in EASTER, Golden Oldie Hymns and tagged At Calvary, Christian, cross, easter, Gospel, hymn, Lynda Randle on March 23, 2015 by heavenlyraindrops. They couldn’t bear to see Him part. It wasn’t the end of His life. Just as the disciples did after the crucifixion of Christ, have you ever faced times when you thought things were hopeless? You’ve prayed. You’ve held on, but things only seem to get worse. Then, something else happens, causing your hope to crash into despair. When Jesus died, His followers wrongly concluded that all was lost. Their King was gone; their hopes dashed. They couldn’t see the promise for the tears. Anguish distorted their anticipation of resurrection. The pain of hopelessness does that. It shreds any possibility of victory. Through the lies of the enemy, it brutally annihilates trust. Yet, our Savior, after enduring cruel battering by His captors and dying a death undeserved, knew that death would not hinder His resurrection. What seemed hopeless to the disciples was merely a lack of understanding on their part. Resurrection was set in motion the moment Christ breathed His last. We would do well to remember that. Although the breakthroughs seem impossible, their fulfillment is only awaiting their ripe Easter morn. Suddenly, what God has promised will burst on the scene. The thing desired, born anew in God’s perfect timing. Hope on, fellow believers. Easter awaits. To see my previous posts about Easter, follow the link. 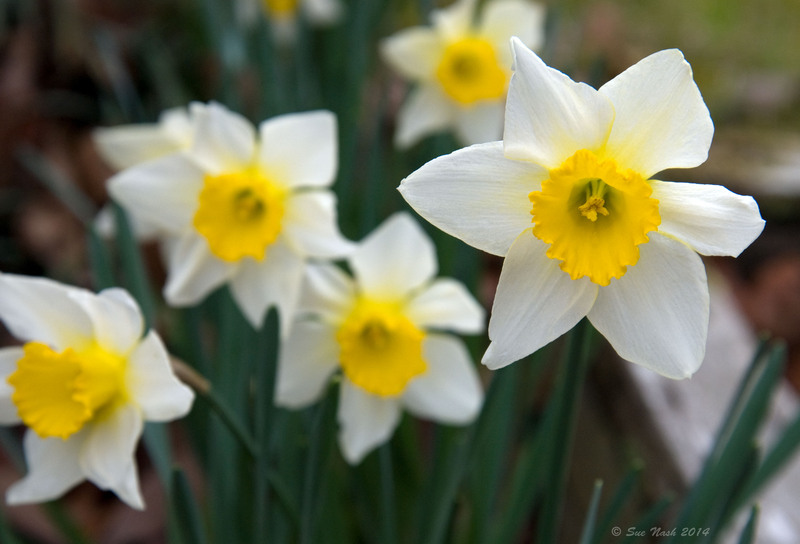 This entry was posted in EASTER and tagged Christian images, crucifixion, daffodils, encouragement, hope, photo, poetry, resurrection on April 9, 2014 by heavenlyraindrops. 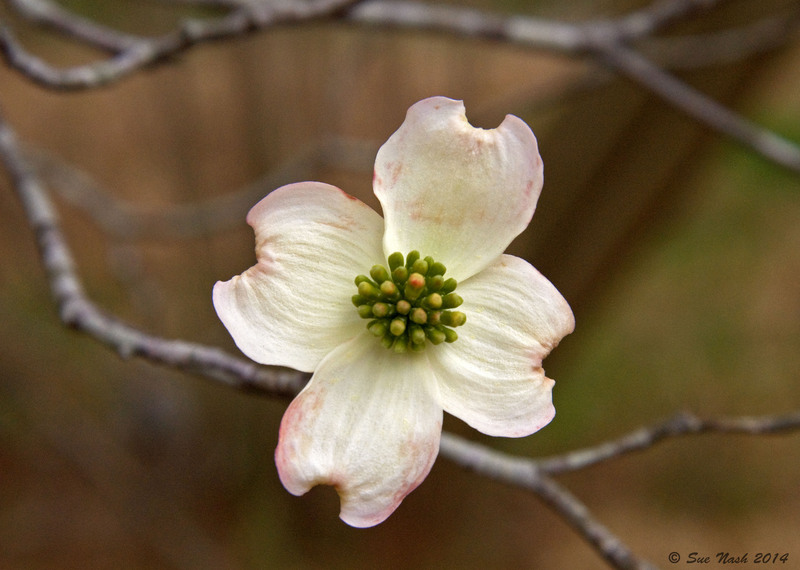 Drive or stroll past the woods in Mississippi during spring and you are sure to find flowering dogwood. Although very lovely, like the trees on which they grow, their blossoms are comparatively timid. 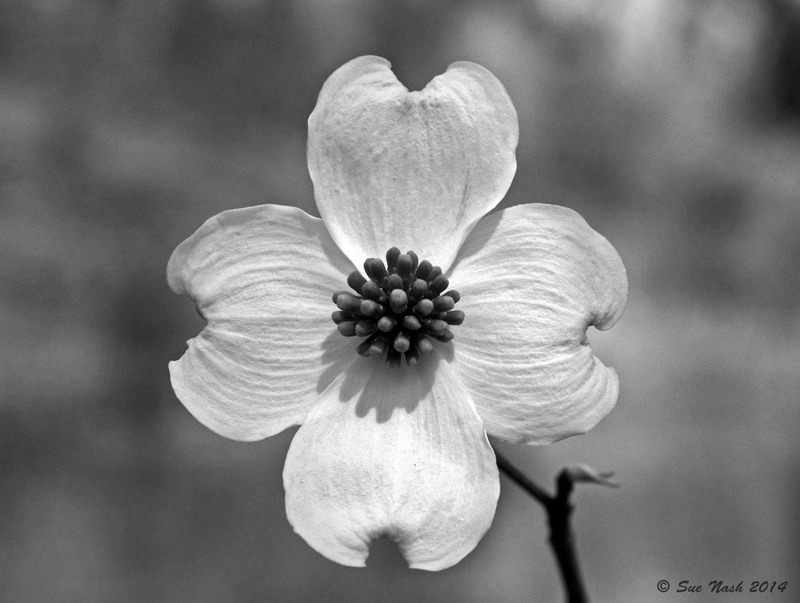 Partial shade-loving, dogwoods grow best hidden under the shadows of their larger woodland companions. The forested landscapes near my home are currently speckled with white dogwoods. However, to get these close-up photos of the flowers, I needed a tree with low-lying branches. Unfortunately, most of them were above my reach, but after diligent search, I found one that cooperated. 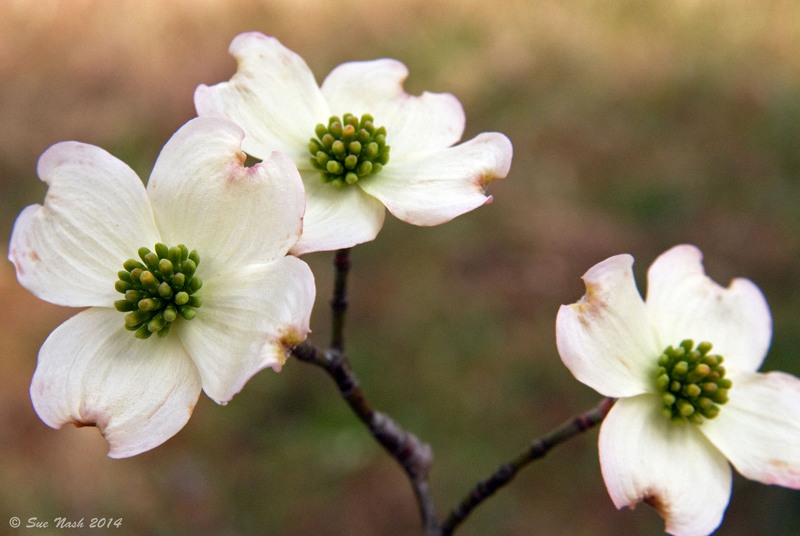 Legend has it that the Romans used wood from dogwood to make the cross of Christ, but the story has no Scriptural support. However, the blooms lend themselves nicely to the tale and certainly have a hint of the Passion. Consider the cross shape of the flowers with blood-like stains on their edges, their fluted striations resembling stripes and the wounded appearance of the petal ends. It does make for convincing comparisons to the account of how Jesus died. The dogwood legend is likely just that. However, blooming as they do around Easter, the flowers will always remind me of the cross. Within them, there is a subtle hint of the Gospel message. For the lost, don’t take chances. Since nobody knows for sure. His Passion, of which we’ve heard. 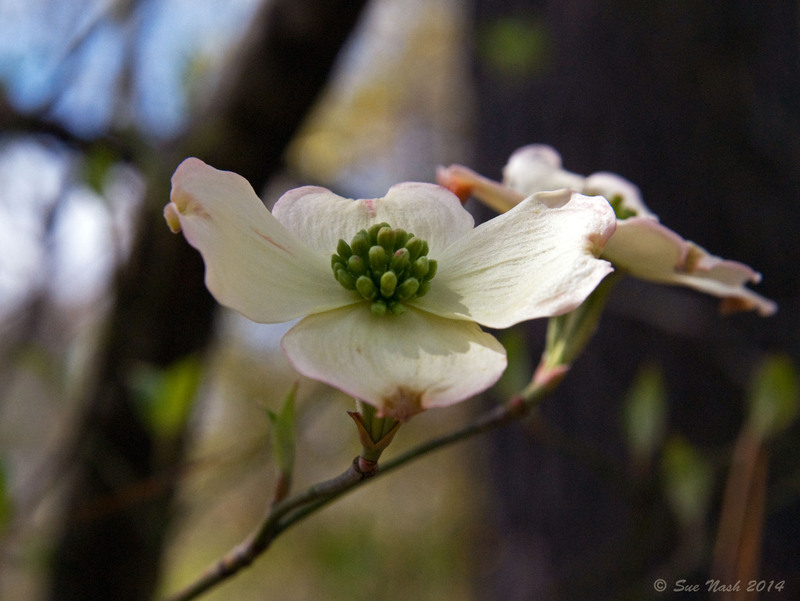 This entry was posted in EASTER and tagged cross, flowering dogwood, Gospel, inspiration, photo, poetry, salvation on April 5, 2014 by heavenlyraindrops. Happy Easter to all as we celebrate the Resurrection of our Lord! This entry was posted in EASTER and tagged Christian, cross, easter, Jesus, resurrection on March 30, 2013 by heavenlyraindrops. 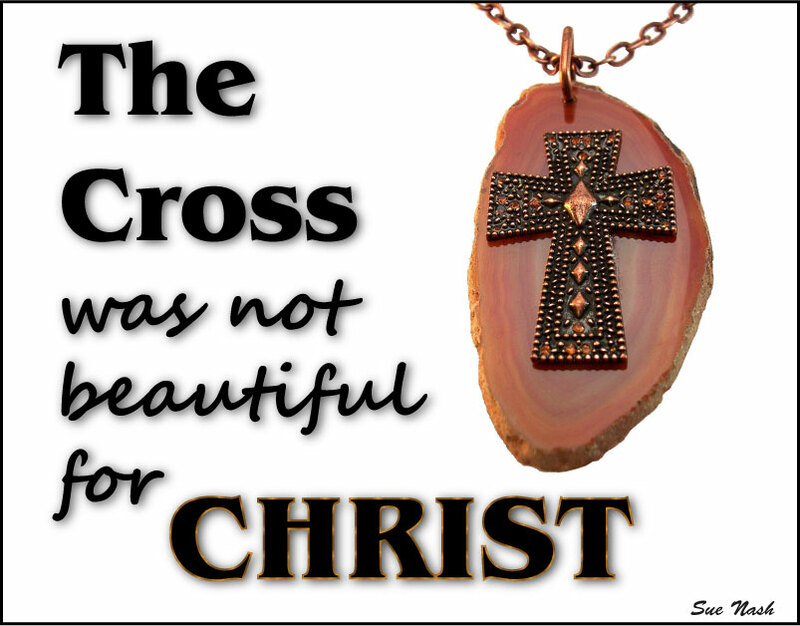 Since this is Good Friday, I decided that it would be better to feature something related to the Cross. Knowing I would face the decision of how best to handle today’s post, I began making mental notes whenever one of my fellow Christian bloggers posted something specifically about Christ’s suffering. This High Holy season for Christians just should not ever become routine and certainly never become buried under the trappings of bunnies and baskets. Knowing what Christ did on our behalf should always prompt us to pause from the ordinary to reflect upon His extraordinary sacrifice. Though afflicted at an early age of a devastating and progressive illness (the details of which he describes on his blog), Bill has done what plenty others in similar circumstances did not: he chose to allow his horrendous trial on this earth to drive him to the Cross and not away. Rather than blaming God and running the other direction, he chose the high and very courageous road of seeing his circumstances from God’s perspective and in the process, found the unshakable hope for which his blog gets its name. During the few months since I discovered Unshakable Hope, I have never heard Bill complain or express any bitterness over his circumstances. Instead, he pours into others through encouraging, thoughtful posts. Although I only know of Bill from his website, I am certain that he is very human and must have many weak moments in his faith, but one would never know of this from what he writes. His cross, though immense, he always uses to point to the One who understands and helps us bear our burdens. He always points them to The Cross. I thank you Bill, for being an inspiration, and for using your struggle as an avenue of encouraging others. If you have not already discovered his site, I recommend you check him out. Without a doubt, you do not want to miss his recent post, It is Finished, in which he uses dynamic photos to accompany a poem about the Crucifixion, and his About Bill page for his touching testimony. You can also follow the link above to this awesome site! Written as this author’s opinion. This entry was posted in EASTER, Friday Feature and tagged Christ, cross, encouragement, Good Friday, suffering, trial, Unshakable Hope on March 29, 2013 by heavenlyraindrops.